Come chat with us in the most pivotal game of the season. 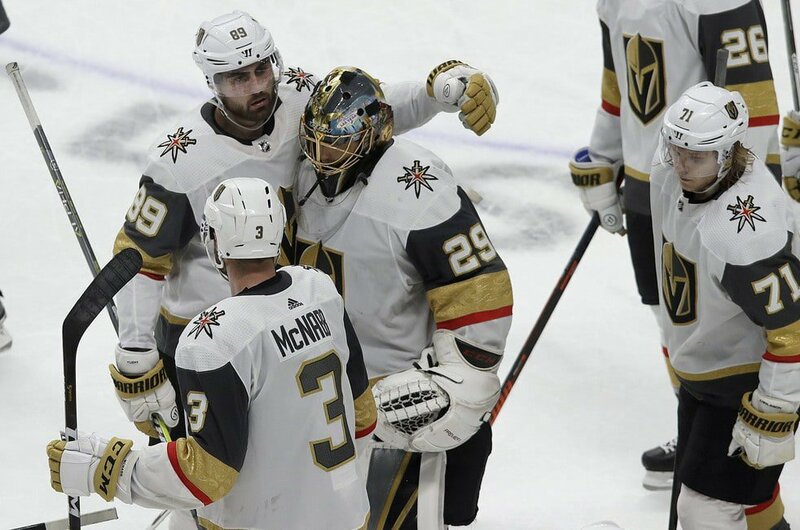 We're heading up to Game 7 and we chat all things VGK vs SJS plus a bunch of side topics like we always do in drive-along ones. Hosted by Ken Boehlke and Jason Pothier. The series has been back-and-forth in more ways than one and tonight, we will finally get some closure. Below are some juicy quotes from the two. Their coach is chattering. Vegas Golden Knights head coach Gerard Gallant has responded to San Jose Sharks Pete DeBoer claiming he chirped his players saying, "for that clown to say that in the paper yesterday is not right". The San Jose Sharks went off the rails a bit soon after shutdown defenceman Marc-Edouard Vlasic was hit with a puck that sidelined him for two-plus games. Game 7 extravaganza tonight with the Leafs and Bruins and Golden Knights and Sharks. Marc Denis looks at both games and weighs in on the upsets in the first round. The next move by @AdamHillLVRJ ? RT @RealPitino: So sad to hear of John Havlicek’s passing. A giant of a man. I was always in awe of his humility and loyalty to the Celtics. My sympathies to his family. RT @TimSullivan714: Just saw that John Havlicek has died at 79. Made the sixth man something special, then became a star with the #Celtics. A tremendous and tireless player. RIP. Raiders GM Mike Mayock: "For the record, we asked 112 kids if they'd be OK on a Las Vegas Strip, or is it going to be a problem. All 112 of them said, 'No, Coach. It's going to be fine.' We didn't find one guy that admitted Las Vegas would be an issue. So they all lied to us."